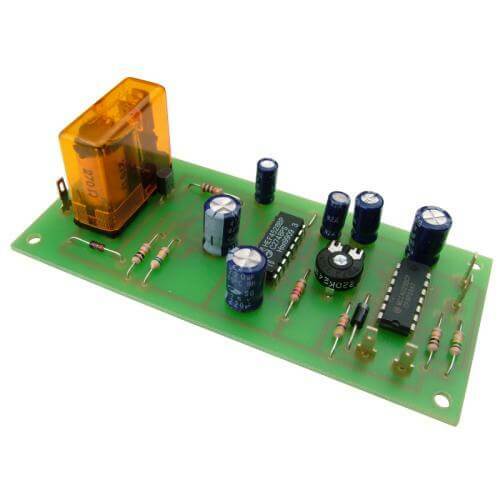 One zone 12Vdc intruder alarm board for buildings or vehicles with relay output. Uses CMOS circuitry for high immunity to false alarms. The relay output is isolated from the alarm circuit allowing you to connect most kinds of 12Vdc siren or buzzer. Exit delay: preset at 15 sec. Entry delay: adjustable from 10 - 30 sec.